Egypt delayed the tabling of a draft resolution, demanding an end to illegal constructions of Israeli settlements on Palestinian lands, for voting by the UN Security Council on Thursday after President al-Sisi spoke with US president-elect Donald Trump and agreed on giving the incoming administration an opportunity to solve the Israel-Palestinian conflict. A Western diplomat stated that “every member of the Security Council was ready to vote at 3pm” but Cairo succumbed to the “intense Israeli lobbying campaign against them.” New Zealand, Venezuela, Malaysia, and Senegal are vowing to push ahead with the resolution as non-permanent Security Council members and the US is expected to abstain from voting thereby facilitating its adoption. The Obama administration has not confirmed if it was going to abstain from voting as stated by sources close to the dossier and it continues to coy on the matter. 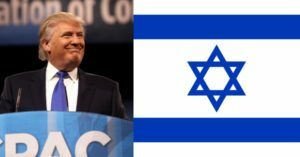 Israeli officials confirmed that they called on Trump after failing to convince the White House to veto the draft resolution. The draft text demands Israel to “immediately and completely cease all settlement activities in the occupied Palestinian territory, including East Jerusalem.” The settlements have “no legal validity and constitute a flagrant violation under international law” and the continuation of such activities “is dangerously imperiling the viability of a two-state solution,” the resolution reads. Posted by Geraldine Boechat on December 23, 2016. Filed under News. You can follow any responses to this entry through the RSS 2.0. You can skip to the end and leave a response. Pinging is currently not allowed.